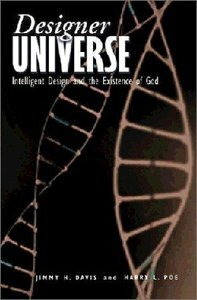 Scientific discoveries of the twentieth century have opened the door for a renewed look at Intelligent Design evidences concerning the existence of God. Authors Davis and Poe explore the different approaches to the Intelligent Design argument, review why Intelligent Design theories fell into disfavor, assess the criticism of Intelligent Design theories with a view to answering those criticisms, and propose how Intelligent Design evidences can be most effectively presented. Includes 60 graphic illustrations supporting Intelligent Design theory. Jimmy H. Davis, PhD., (University of Illinois) serves as vice president of Union University's Germantown campus and is a 27-year veteran faculty member (Professor of Chemistry) and administrator. Davis is the co-author with Union University professor Harry Poe of two books: Science and Faith: An Evangelical Dialogue and The Designer Universe. Dr Harry Lee Poe holds the Charles Colson Chair of Faith and Culture at Union University in Jackson, Tennessee. The author of many books and articles on how the gospel intersects culture, Poe has written numerous articles on C. S. Lewis and co-edited C. S. Lewis Remembered and most recently The Inklings Oxford.